Signs of Love has been working in the village of Zamora for almost 15 years. Most of the deaf were very small when Robin began visiting them in their homes, teaching sign language, and about the love of Jesus. It has been an honor to watch them grow these past 4 years into amazing young men and women (almost all between the ages of 15 and 24). By the grace of God, most of them are able to communicate well in sign and want to know Jesus! Just last month they started meeting together outside of their monthly time with Signs of Love, New Testament style to pray for one another, provide for the needs of one another, study the Word and worship together, all in sign language! Please pray for this group of believers as they grow together and encourage one another in the word and in obedience and love for Jesus! Top: Franklin leading closing prayer with Nancy. Middle left: discussing when to meet again. Middle right: Praising God for his work in their lives. Bottom left: A candle lit at the beginning and blown out at the end signifying the “set apartness” of that place and time to worship God. Bottom middle: They created a prayer journal where they draw picture of things they are praying for and praise God when they are answered. 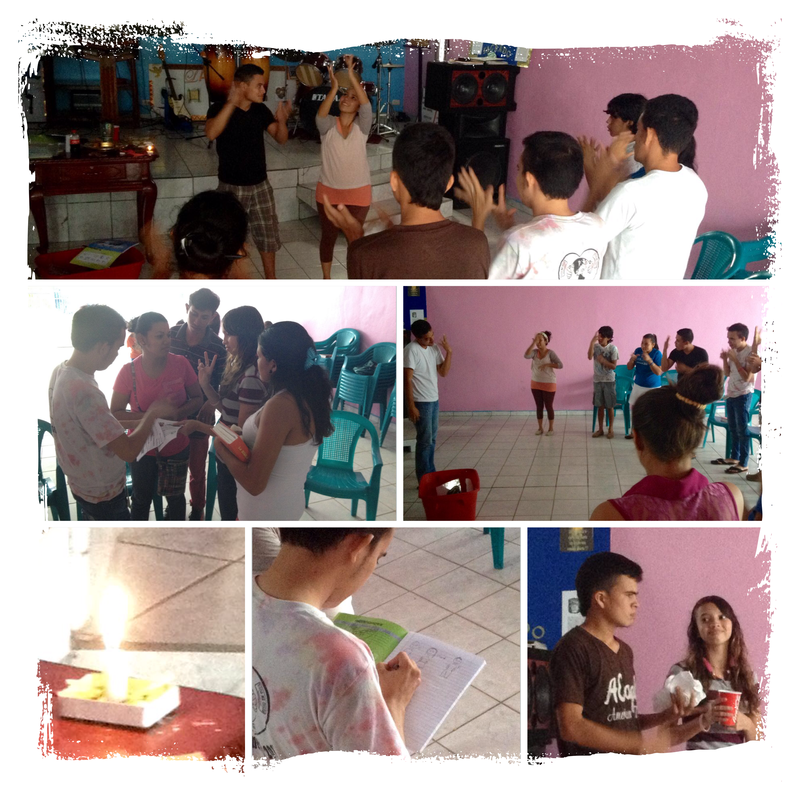 Bottom right: Carlos and Ana leading communion Honduran style, with coca-cola and sweet bread. Click here and download the button to your browser. Make “Signs of Love- 100 People” your “cause“. 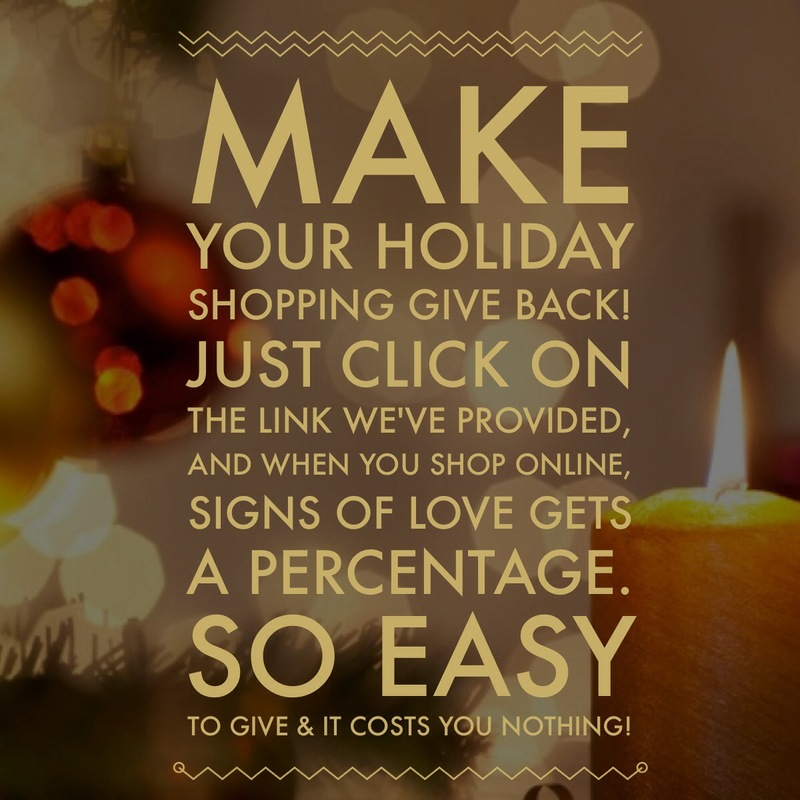 Then every time you shop at more than 1,500 stores online we receive a percentage for our ministry! Please take just 5 minutes to download the button. No gimmicks it really works and we have been receiving checks quarterly for the past 3 years! Thank you! Kathryn, a long term volunteer with Signs of Love, is gifted in song interpretation! She shared this song in LESHO (Honduran Sign Language) with us at graduation. When the local school for special needs students closed the classroom for the deaf students it was devastating! 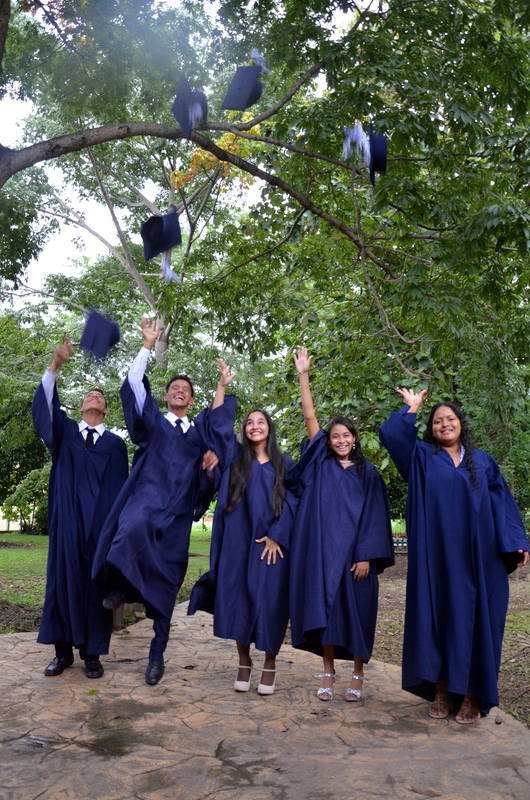 They lost their community, their ability to communicate with others in their own language, their ability to advance academically and to get their 6th grade certificate (similar to graduating high school in the States) which often equates to a job here. We were introduced to a governmental program partnering with USAID that allows people over the age of 13 to be able to earn their degrees at half the time and with flexible schedule. We committed to a year which would get 5 students through 5th and 6th grade and with a diploma to hopefully have better job opportunities. As we progressed throughout the year learning Honduran history, agriculture, health, math ect it was always on the forefront of our minds that it wasn’t just about learning from the books. That’s how it all is here at Signs of Love — so many means to just one goal, sharing the passionate love of Christ! Each morning we started with prayer, we watched the “Bible” DVD at lunch and each day ended with a Bible lesson and hang out time with our incredible deaf staff and time to be counseled. Each day was another opportunity to share Jesus with these 5 students but not only through the teachings but through the joy in the smiles, the patience during a frustrating lesson, the conversations about life that came up in the social studies lessons and the love in the hours spent after class encouraging them as the studied for their exams. 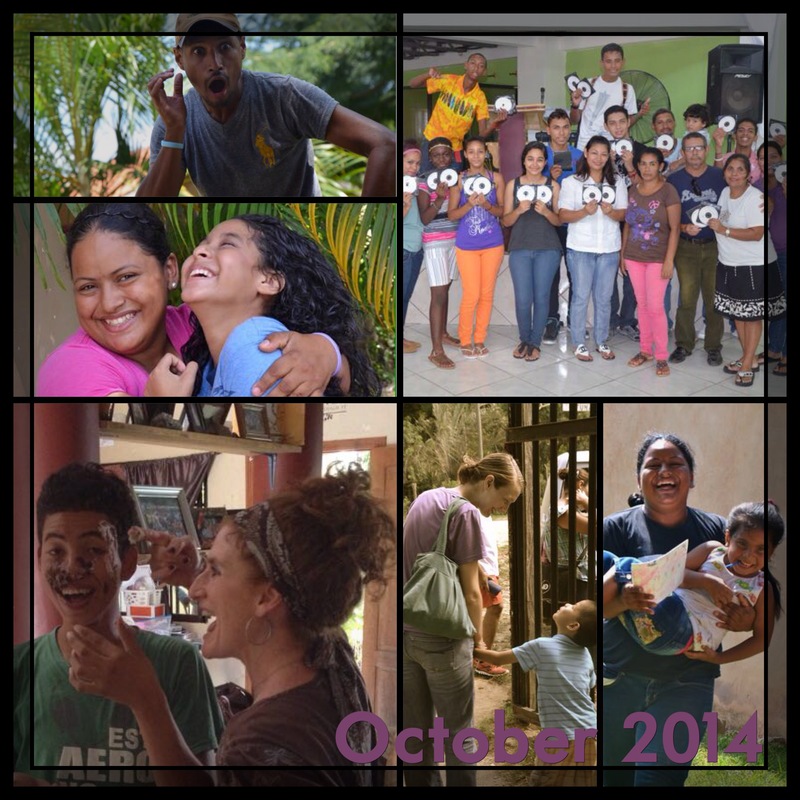 We are grateful to have such special moments with these young adults. Pray with us that they would take not only the lessons on math and agriculture into their life, careers, and families but the lessons of love, joy, service and patience! Kathryn suprised the students by coming to graduation. She taught them 3 years ago in the local school for special needs students as well as this year for the month she returned. She is leading the national anthem in this photo. Robin gave life verses to each of the individual students. It was such a treat to have her here to celebrate with us and for her to give such a priceless gift! Words can not express how much love I have for these 5 special young adults! Go get ’em world changers! Nancy did a wonderful job decorating the cake! I have enjoyed spending time with her with these cupcake projects. Thank you to those of you that supported us prayerfully, financially, and emotionally! We are grateful for you! Click on the “sneek-peek” below to see the full Signs of Love newsletter published by the founder of SofL, Robin!